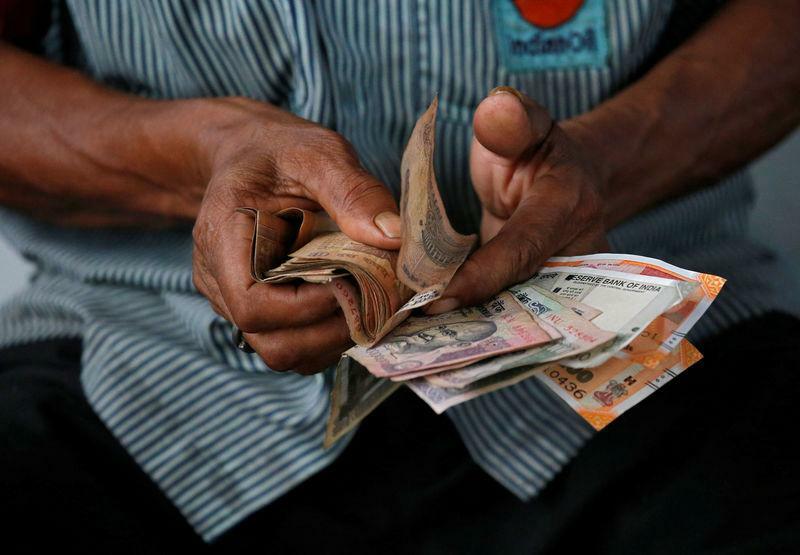 BENGALURU (Reuters) - The rupee will weaken over the six next months as uncertainty builds heading into national elections due in May, a Reuters poll showed. This week's surge in oil prices, alongside official figures on Friday showing weaker economic growth in India during the July-September quarter, is offsetting hopes for an easing in the trade war. "Politics is likely to decide the course for the Indian rupee in 2019. The political heat is already rising as the elections being held in five states currently will set the tone for the national elections in May 2019," noted Prakash Sakpal, Asia economist at ING. Sakpal said it will be tough for Prime Minister Narendra Modi government to retain power for another term, noting lingering public anger followed a chaotic demonetisation in late 2016 and the implementation of a Goods and Services Tax in mid-2017. "We expect it to be a too-close-to-call poll." The Nov. 28-Dec. 4 survey of around 40 strategists forecast the rupee would weaken over 2 percent by the end of May 2019, just after the general election, to 72.00 against the dollar. It was trading around 70.49 on Tuesday. Those results are in line with a separate poll of equity strategists who for the first time this year downgraded their outlook for Indian equities in 2019. Any gains were predicted to come only after next year's elections. The Indian currency touched a record low on Oct. 11, hurt by the Reserve Bank of India's surprise decision to keep rates on hold. The central bank and government have been at loggerheads over the latter's demands, which included easing of lending and capital rules for some banks. "The thawing of tensions between the RBI and the government is another positive for now, though recent tensions will continue to lurk in the background and are not positive for the currency," added Sakpal. Improved sentiment over the rupee was also reflected in a separate Reuters poll which showed bets against the currency declined in the past two weeks to their lowest since April. With October inflation below the central bank's medium-term target of 4 percent for a third month, the RBI is expected to keep the repo rate on hold at 6.5 percent on Wednesday and until at least April, when it would hike again before pausing for at least another year. But the rupee is likely to find it difficult to regain lost ground without the central bank's support. "Despite the current relief for the INR, India remains vulnerable to domestic and external woes. Its weak external fundamentals leave it prone to another round of sell-offs," noted Amy Yuan Zhuang, chief Asia analyst at Nordea. "Moreover, a liquidity crunch in the financial system combined with excessive bad debts among banks diminishes confidence in Indian assets," she added.